Huawei has officially released its latest 400G optical network solution for commercial use, which fully supports carriers by offering fast 400G network deployment in all-service scenarios at the Optical Networking and Communication Conference & Exhibition (OFC) in San Diego, USA. Using Huawei's latest oDSP chips, this solution outperforms the industry benchmarks in transmission performance. It supports adjustable bandwidths at a tunable single-wavelength rate ranging from 100 Gbit/s to 400 Gbit/s. This solution also helps carriers implement rapid 400G network deployment on live networks, by offering a wide variety of flexible configurations, catering for all service scenarios on carriers' networks. From the perspective of the global optical network industry, the single-wavelength transmission capacity of 400G has approached its theoretical limit. Depending on the current transmission performance and distance, high-speed 400G transmission solutions are commercially applicable only in limited scenarios. In access, metro, and DCI scenarios, transmission distances are short. Although large bandwidths are required, optical fiber resources are insufficient. This 400G solution uses the simplest configuration to provide the largest bandwidth and highest spectral efficiency, reducing transmission costs. In addition, by leveraging industry-leading error correction coding technology and a signal equalization algorithm, this solution improves the single-wavelength 400G transmission performance by 50 per cent, meeting requirements of single-span and multi-span models that use different optical fibers. In backbone networks and some complex metro networks, there are long-haul transmission, a lot of nodes, and high transmission requirements. Single-wavelength 400G technology does not perform at the required threshold in real optical networks. To address this problem, Huawei's solution uses dual-channel 2 x 200G and optimization algorithms to compress the channel spacing, increases the spectral efficiency by 30 per cent (approaching a single-wavelength rate of 400 Gbit/s), and smoothly extends the 400G transmission distance to thousands of miles. This helps carriers rapidly deploy 400G backbone networks by using minimal bandwidth resources. In addition, Huawei's 400G solution increases the single-fiber capacity by 40 per cent, and reduces power consumption by 40 per cent, greatly improving the network performance and lowering network O&M costs. Richard Jin, president of Huawei Transmission Network Product Line, said: "In the 5G era, ultra-high bandwidth will become a basic network requirement for carriers and high-speed transmission technology is the key. 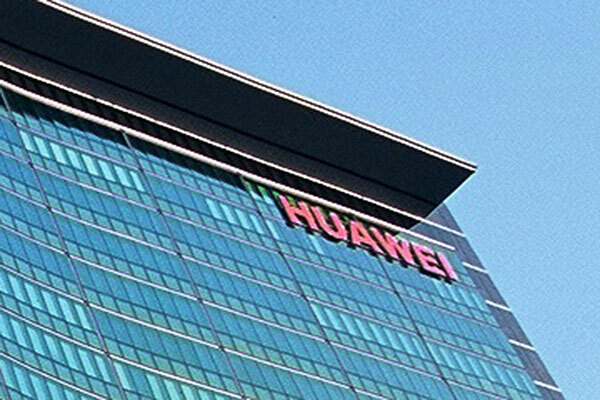 As 400G is becoming the trend of next-generation optical networks, Huawei will promote 400G transmission technology to satisfy carriers' requirements in all-service scenarios. As one of the earliest vendors in the world to deliver 400G, Huawei continuously seeks to build the most competitive premium transmission networks and enable global carriers to achieve commercial success."